Our goal is to connect people with the best local experts. We scored electricians on more than 25 variables across five categories, and analysed the results to give you a hand-picked list of the best electricians in Whittier, CA. A & L Electric Inc was founded in Lynwood, CA in 1997 to provide electrical services to residential, commercial, and industrial customers. The company provides electrical installations, repairs, upgrades, code corrections, rewiring, lighting, and much more. A & L Electric installs, repairs, and maintains electrical systems for commercial and industrial clients including stores, schools, malls, hospitals, factories, and large buildings. They also install video surveillance systems for the security of homes and businesses. A & L Electric Inc is licensed and bonded to provide electrical services in California and takes pride in its reputation for customer service and attention to detail. Active Electric Co., Inc. is a contractor located in Montebello and serving the surrounding communities of Los Angeles County. The company is licensed and insured in compliance with California law, and it helps mostly commercial and residential clients. Primary services include but are not limited to electric meter upgrades, recessed lighting solutions, generator backup panels, security surveillance, and heavy manufacturing electrical work. The company holds the highest possible ratings with both the BCA and the Better Business Bureau. Customers have credited Active Electric with employing knowledgeable and friendly staff, who respond quickly to inquiries and dispatches and work efficiently while on site. All American Electric is a veteran-owned electric contracting company in Covina, California. They provide maintenance and services including parking lot lighting, landscape and security lighting, ceiling lighting, all types of office lighting, recessed lighting, under counter lighting, and more. Their industrial services include new construction, industrial contracting, tenant improvement, remodel/renovation, design and build, emergency standalone generators, etc. The commercial electric services they offer include 120V and 220V circuits, 277V and 480V circuits, accent lighting, backup generators, breakers and fuses, computer wiring Cat6, Cat5, and more. They specialize in parking lot and LED upgrades. All American Electric is fully licensed and insured and offer free and fast quotes. AR Electric Inc. is a trusted company based in Los Angeles, CA. that has been providing reliable electrical services for more than 30 years. They have skilled and friendly electricians who are available for commercial and residential clients. Along with significant expertise, each of their dependable electricians are customer service professionals, their customers’ needs are their first priority. These pros offer various services that include lighting installation, lighting fixture upgrade, circuit breaker repair, and many more. They also help businesses by giving good energy saving tips and by making sure that customers will get a maximum rebate available when upgrading their electrical system. AR Electric Inc. has received many well rated reviews from satisfied clients. They accept emergency electrical services. With over twenty years of combined experience, B.C. Electric Services and its team of licensed electrical engineers can provide high-quality electrical services for residential, commercial, and industrial clients in Hacienda Heights, California and the surrounding communities. They make use of the latest equipment and safe methods to ensure one hundred percent customer satisfaction in every project they handle. The wide range of services they offer includes installation of recessed lighting and ceiling fans, remodeling, tenant improvement, upgrade of service panels, adding new circuits, outlets, and switches, and rewiring existing electrical lines. They also install track lights, smoke detectors, bathroom fans, computer networks, and phone cables. B.C. Electric Services' commitment to excellent customer service has earned them repeat business and referrals from satisfied clients. Available around the clock for clients' emergency needs, Delco Electric is a professional electrical contractor located in California that serves clients in the metropolitan areas of Orange, Los Angeles, Riverside, and San Bernardino counties. The company is available for commercial and industrial projects, including work with retail malls. Delco Electric is fully licensed, bonded, and insured for clients' peace of mind and is a family-run business. Services provided by the company include panel and breaker work, electrical repairs, lighting system installation, underground electrical work, building remodeling, new construction work, and more. Delco Electric can be contacted for appointments by phone or email. Delta Delta Electric is an electrical services provider located in Whittier, California specializing in electrical code maintenance and infrastructural repairs. Their projects include work with every stage of planning and execution for electrical solutions in retail properties, industrial complexes, and institutional buildings. They also offer closed-circuit television installation and routine maintenance scheduling to ensure systems remain safe and up to code over time. Services include ceiling fan installation and repair work, rewiring for homes, apartments, and businesses, electrical system upgrades, phone and television hookups, home automation, and smoke and carbon monoxide detectors. Energy efficient upgrades, motion sensors, safety inspections, and meter panel upgrades are also available. Martin's Electrical & Lighting Company is an electrical contracting company in Walnut, California, serving the Southern California area since 1996. They serve both residential and commercial clientele. Their services include whole house fans - quiet cool installer, electric vehicle EV panels and charging stations, electrical safety, 120V and 220V circuits, arc-fault breakers, attic fans, and more. They also work on breakers and fuses, ceiling fans, electrical outlets, electrical panels, exhaust fans for restrooms, replace old panels and breakers, etc. Martin's Electrical & Lighting Company also services generators, GFCI outlets, landscape lighting, phone and internet cabling, lighting fixtures, and LED lighting. They proudly provide the best quality and affordable electricians. Martin's Electrical & Lighting Company offers a free estimate. Meredith Electric is an electrical contractor company located Norwalk, California that can also provide services to clients in the surrounding areas and communities.The company has been in business for nearly thirty-five years, and they strive to provide professional and reliable services to all of their clients. They can provide services to both residential and commercial clients. Meredith Electric is a locally owned and operated company, and they are also fully insured, bonded, and licensed. Meredith Electric can provide many different services including installation, repair, and maintenance on many different electrical issues. They seek to offer their clients high-quality services at affordable prices. My Glendora Electrician Hero is an electrical contractor referral service that partners with highly-rated electricians based in the Glendora area. All contractors are licensed, bonded, and insured, and often deliver service on the same day. Residential and commercial services available are rewiring, installation of interior and exterior outlets, switches, and lighting fixtures, 220 lines, backup generators, breaker boxes, and computer and phone lines. These qualified Glendora electricians provide twenty-four-hours a day emergency service and give a lifetime guarantee on all work. Coupons allowing 10% off of any electrical service and $25 off on the first electrical job with the company are available on the website. Socal Electrical is an experienced and reliable electrical company serving Los Angeles and Orange County, CA communities. 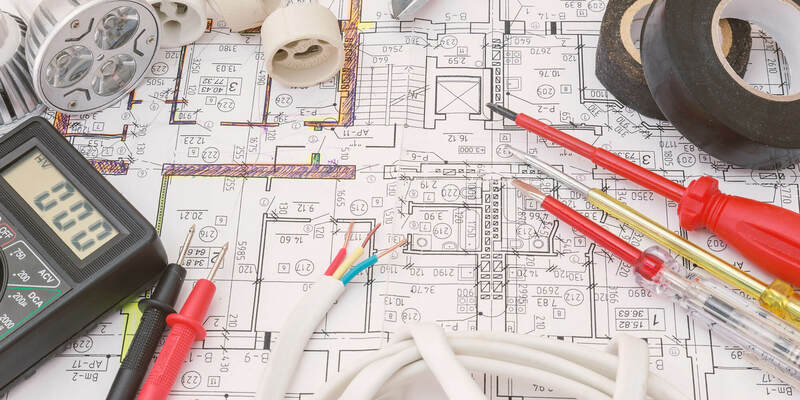 Their expert electricians are insured and bonded and pride themselves on providing high-quality residential, commercial and industrial electrical services, and on producing exceptional custom electrical work. They specialize in electrical panel replacement and fuse box replacement with services that range from house rewiring to electric gate installation. Electrical services provided include electrical upgrades, replacement knob and tube wiring, wiring upgrades, electric vehicle charging station installation, kitchen remodeling, kitchen appliance circuits, ceiling fan installation, smoke detector installation, energy efficient lighting installation, led lighting, and more. To take advantage of their 24/7 dispatch service, clients may visit the website. Top Care Electrician is a full-service electrical contracting company that has served residential and commercial customers in Bellflower, California and the surrounding areas for more than 35 years. They are locally owned and operated, fully licensed and bonded, and were recognized as the Generac region dealer of the year for 2014-2015. Their courteous technicians offer residential electrical design, troubleshooting and repair, switch and outlet additions, renovation and remodeling wiring, smart home hardware installation, landscape lighting, pool and spa wiring, breaker upgrades, and generator installation, repair, and maintenance. They can also service pool motors and parking lot, office, and commercial lighting systems. Wood Electric is a family-owned and operated electrical company in Norwalk, CA that strives to offer high-quality electrical services at reasonable rates. It is composed of Norwalk electricians who are licensed and experienced in handling electrical services such as network cable installation, generator installation and repairs, electrical circuitry replacement and repairs, electrical inspections, whole house rewiring, emergency and security lighting installation, and more. They are available by phone 24 hours a day, seven days a week. Wood Electric is a fully licensed and insured company.